When we exclude the capital and larger multi-national health and well-being businesses, we’re shown an aromatherapy industry generating £33.1m. In it, the cities of Bristol and Glasgow seem keenest to help us indulge in the odd fragranced massage and scented diffusion, with five aromatherapy SMEs each. However, thanks to successful businesses in Salisbury and Fordingbridge, Wiltshire (a county with a £4.06m turnover) is the place to be for people who love a nice, smelly bubble bath. As the place to be for comedy, film and music festivals, and with good support from Creative Scotland, it isn’t a surprise to learn that Scottish SMEs classified as ‘The Arts’ are successful businesses. With a turnover of £17.9m, Edinburgh is by far the highest earning city for creative endeavours (outside London), followed by Bristol (£3.68m) and Newcastle (£2.06m). Scaled up to county view, this means that Midlothian remains top. Yet the county region of Staffordshire (£17.6m) runs a close second, followed by West Yorkshire (£11.2m). With both counties enjoying an impressive number of theatres, and the latter home of the successful Northern Ballet, this makes sense. Looking at regions, if we ignore smaller places like the Channel Islands, Isle of Man and the Outer Hebrides, poor Wales (with eight SMEs generating a £3.69m turnover) sits bottom of the table. That said, with the BBC investing heavily in creative industries in places like Cardiff, and lots of ambition to encourage other businesses to operate out of the country, maybe these figures do not tell the whole story. Britain is bal-loony for balloons! This one might shock you. Or perhaps not, if you’ve been stiffed by one of those guys at a fairground because your kids want an inflatable shaped like SpongeBob Squarepants. Not only are there nearly 500 SMEs in the novelty balloon industry, they are bursting with cash! Between them, these businesses turnover an impressive £188m. That’s more than aeronautical engineering £99.7m, Inland Revenue services (£101.8m) and cosmetic surgery services (£115m). Need to drunkenly belt out a rendition of I Will Survive or My Way? Then head to Wales or West Yorkshire and you’ll be well catered for. As a whole, the karaoke industry outside London contributes £30.5m to the economy, with Bridgend and Leeds (£1.93m) emerging as hot spots for karaoke bars generating the most revenue. This is closely followed by Brighton (£1.75m), Stockport (£1.25m) and Swindon (£1.05m). Stamp dealing is a business that sticks! 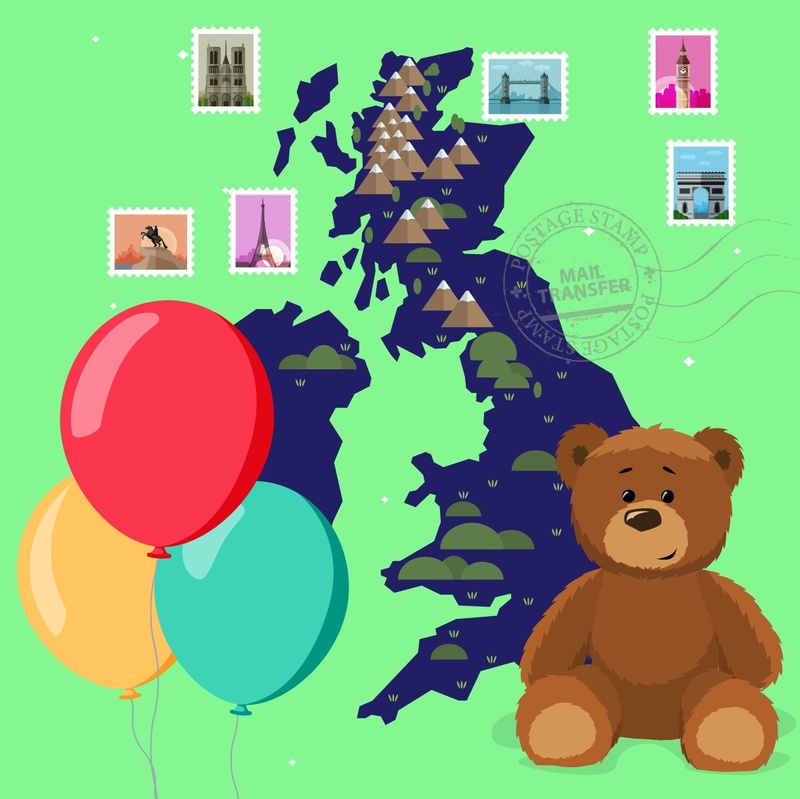 We knew that the price of sending a card by first class post was pricey, but who would have guessed that the 118 stamp dealers in Britain are generating £29.8m between them? Still, with a ‘Penny Red’ recently selling for over half a million quid and a rare ‘Tyrian Plum’ fetching over £100k, maybe we should all start looking in the attic for any letters your Great-Great Granny might have received. Did you know that there was such a business as a ‘doll hospital’? Well, they are a thing - there are 11 doll hospital SMEs in Britain, turning over a respectable £800k. If you want to know more about UK businesses, the Blue Sheep UK Business Universe® can help with all manner of data requests. You’ll be amazed by what it can tell you. *All turnover figures sourced from the Blue Sheep UK Business Universe®, using 'site turnover' data compiled from several data suppliers, including modelled data from Market Location and Corpdata. **SMEs classified as less than a £25m turnover and fewer than 250 employees. With extensive knowledge of UK demographic, geographic, housing, lifestyle and business data, The UK Business Universe® can assist with a variety of requests, from competitor analysis and intelligence projects, to information for media, agency services for mailing houses and more. Find out how we can tailor a data solution to your needs.